Summer is here! It’s perfect to take a sip with your cocktail while lying on the beach. Well, take advantage of the weather and mix your cocktail with a twist. Combine 3 cups of water and 2 1/2 cups of sugar in a saucepan over medium heat. Bring to simmer, stirring until the sugar dissolves. Remove the pan from the heat, add 8 Chamomile tea bags and stir. Refrigerate until room temperature or chilled at least one hour. In a blender, combine 4 cups of grapefruit juice and 1/2 pint of strawberries, hulled and sliced. Pour the mixture into a large punch bowl. Add the Chamomile Syrup, 3 cups of Bourbon, and a few dashes of bitters. Add the rest of the Strawberry slices and ice for garnish. Rim the glasses with a mixture of lemon zest, sugar, and salt. In a cocktails shaker filled with ice, combine 2oz. of Tequilla, 1oz. of triple sec, 2oz. of lemon juice, and 1/2oz. of simple syrup. Strain into prepared glasses and garnish with slices of Meyer lemon. Combine 4oz. cucumber vodka, 4 1-inch cubes of seedless watermelon and 2 diced limes in a cocktail shaker. Rim your glass with a slice of lime and garnish with equal parts of sugar, salt, and lime zest. Fill your glass with ice and pour in ingredients from the cocktail shaker. Top with cupcake vineyards prosecco and garnish with a slice of watermelon, cucumber, and mint. You can even add strawberries to the mix. Fill your glass with peach ice cream (or sorbet or sherbet). Pour 1 1/2oz. vodka into the glass, then top with your favorite tea. In a small shallow dish, combine 2 tbsps. of salt, 1/2 tsp. of cayenne, and 1/2 tsp. of ground black pepper. Run a lime wedge on the rim of a cocktail glass and then dip into the seasoning mixture. Muddle together 2 cups of cherry tomatoes, juice from 1 lime, and 2 tbsps. of dill. Add a dash of each of Worcestershire sauce and hot sauce to the glass, and give it a stir. Top off with ice and pour 1oz. of gin in the glass with 2oz. of tonic water. Garnish with cucumber slice, serrano peppers, and lime wedges. In a blender, combine 1 1/2 cups of frozen strawberries, 1/2 tbsp. of simple syrup, 4 mint leaves, a shot of rum, and 1 3/4 cups of crushed ice. If you have whole cubes, crush them in a blender first. Blend until well combined and slushy-like. Pour the strawberry mojito into three 8oz. glasses, filling just about halfway. Combine 1 1/2 cups of chopped kiwi, 1 1/2 tbsp. of simple syrup, 4 mint leaves, a shot of rum, and 1 3/4 cups of crushed ice. Then pour the kiwi mojito over the strawberry mojito. Garnish with kiwi, strawberry, and mint. 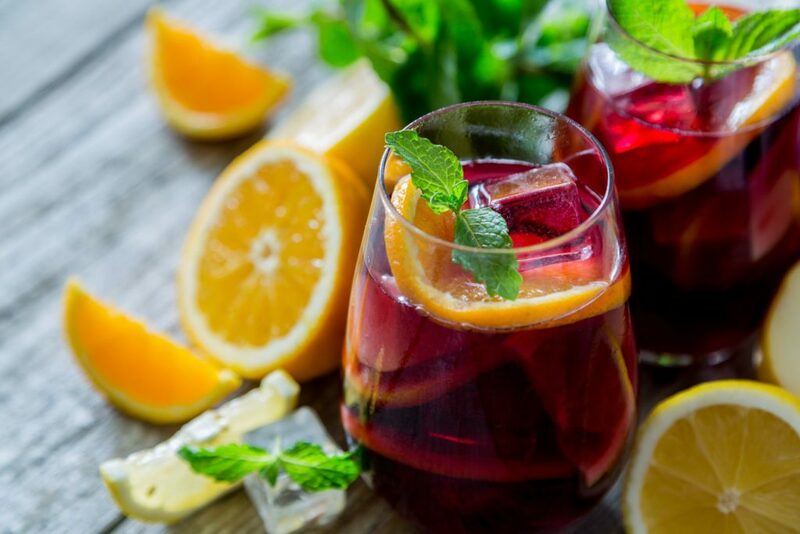 Combine a vibrant white wine with freshly brewed iced tea and honey. Stir until the honey has completely dissolved, then serve with fresh fruits. In a saucepan over medium heat, combine 1 cup of water and 1 cup of sugar, and heat until sugar is dissolved. Remove from heat and add the zest and juice of 3 limes. Stir and let it all steep for 20 to 30 minutes. In a cocktail shaker, combine 3/4oz. of lime juice, 1 1/2oz. of gin, 3/4oz. of lime syrup, 1 tsp. matcha powder, 1/2oz. half and half, 1/2 tsp. of vanilla extract, and 1 egg white. Seal and shake without ice for about 10 seconds. Open up the shaker and add 1 cup of ice. Seal and shake vigorously again for 10 seconds to chill. In the bottom of your glass, add a small splash of club soda and pour the cocktail through a strainer into your glass. You should have a foamy top. Slowly add a few more splashes of soda on top of the foam. The soda will make it rise and foam up more. Sprinkle matcha powder on top as a garnish. 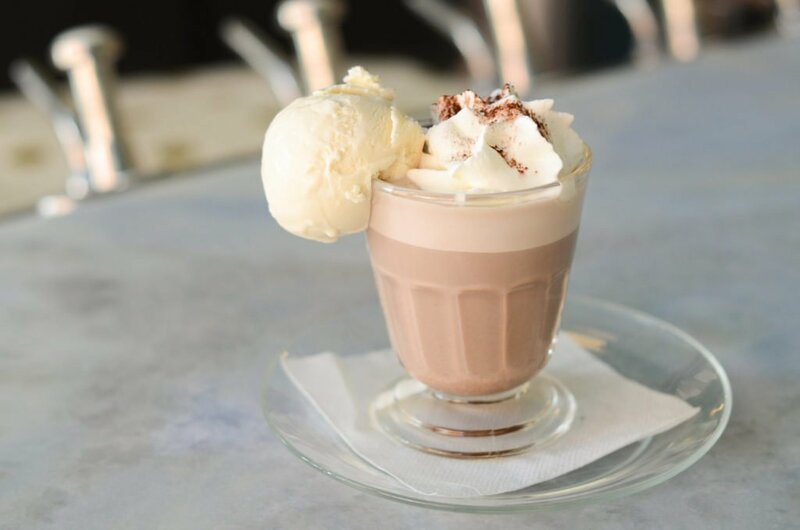 Put a single scoop of ice cream in a glass. Then add in a shot of Kahlua(give or take, depending on how strong you want it). Then pour the Coke slowly on top. Add a second scoop of ice cream if you want. 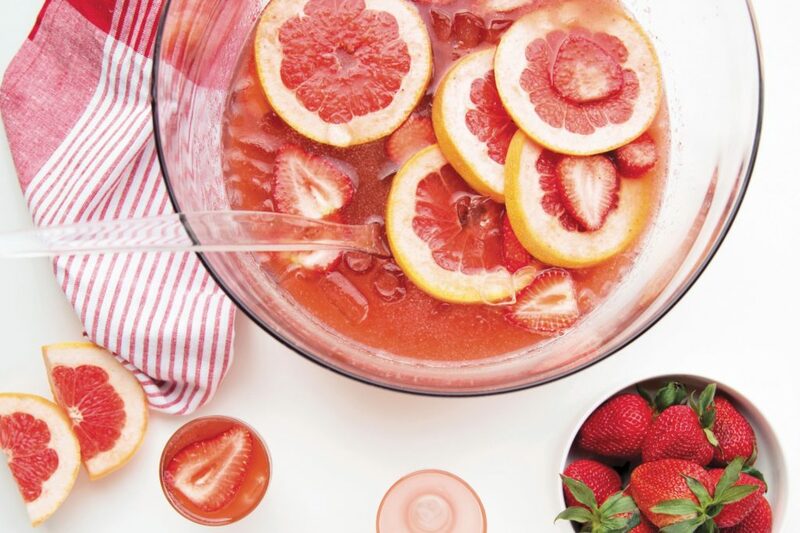 Pair a strawberry or tangerine popsicle with a crisp wine for the kind of drink you’ll want to sip all summer. Drop 4 lime wedges, 8 to 12 leaves of fresh mint, and 1 to 3 tbsps. of simple syrup or sugar into a tall glass. Using a muddler, muddle the ingredients together to release the juices. Fill about half the glass with ice and then add 2oz. of rum. Top the glass with a little more ice and then pour kombucha over and gently stir to combine. 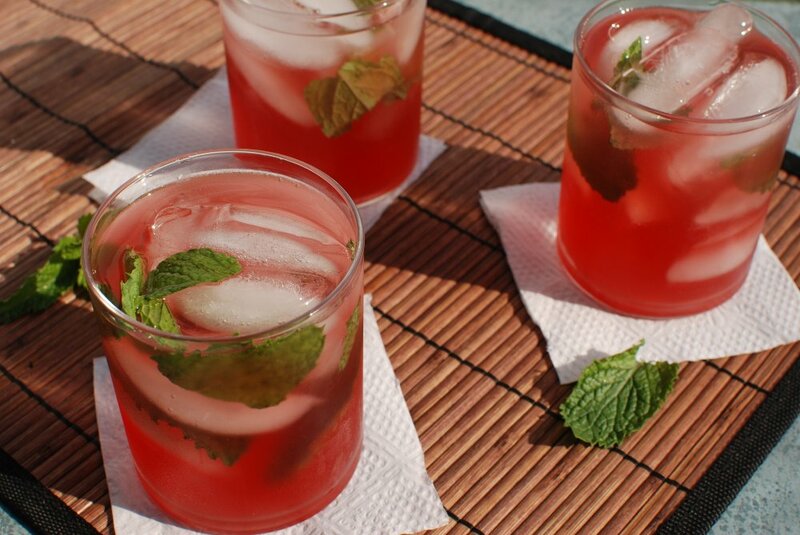 Garnish with fresh mint and drink! In a small saucepan, combine 1/2 cup of sugar and 1/2 cup of water. Bring to boil and then reduce the heat and simmer for about 3 to 5 minutes until the sugar dissolves. Remove the heat and add 1/4 cup of dried hibiscus. Allow the mixture to steep for 5 to 10 minutes and then strain the syrup through a fine mesh strainer. Cool and use as desired. (If you made too much, just store the syrup in the fridge – it’ll keep for at least a week. Drain a 20oz. can of peeled lychees, reserving 1 tbsp. of the heavy syrup. Combine the lychees, syrup, 8oz. coconut milk, 4oz. coconut water, 2 1/2oz. of rum, and 5 to 6 large ice cubes in a blender. Pour over crushed ice or additional ice cubes, and garnish with lime wedges. Mix together 1 tbsp. of sugar, 1 tbsp. of salt, 1/4 tsp. chili powder, and zest from one lime on a small plate. 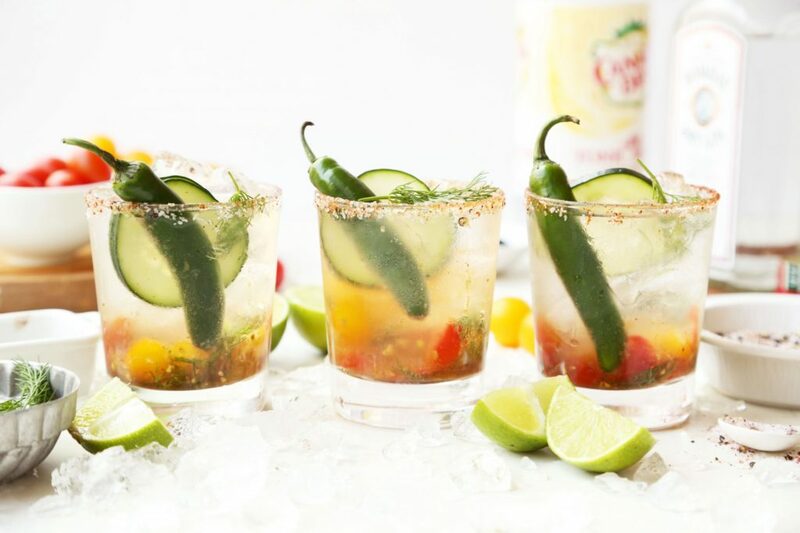 Run a wedge of lime around the top of two glasses and dip them in the salt blend; fill with crushed ice. Mix 1 cup of grapefruit juice, 1/4 cup of fresh lime juice, 4oz. of tequilla, and 1 tbsp. of sugar until well mixed. Pour over crushed ice and top with sparkling water. 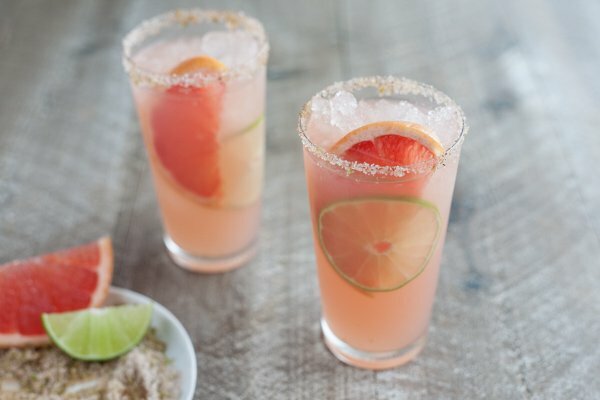 Garnish with grapefruit and lime. Combine 3oz. of pineapple juice, 2oz. of white rum, 1oz. 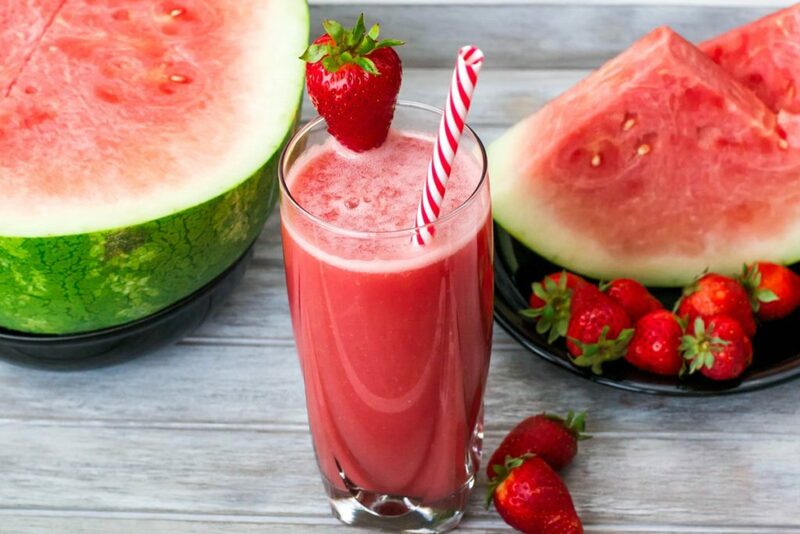 coconut milk, 2 to 3 cubes of watermelon, and 1 cup of ice in a blender, and puree until thoroughly liquefied. You may need to add more watermelon to get the right blush-pink color. If this was something that I could drink all summer, I would never be sober. It’s all so tempting!!! The Peach Tea Icecream Float with vodka sounds so delish.? The spicy tomato seems weird. But I’ve never tried anything spicy with gin. This is so perfect for summer! I can already picture myself drinking this beside our pool. ? I wonder if I could make these drinks as pretty as it is in the picture?! It would seriously feel like I’m in Maldives if I’m going to drink one of this.? It looks so classy, right? I’m definitely whipping some of this up for Summer. Who knew? You don’t even have to go to a bar to get drinks like this. It’s way cheaper to make it at home too. Summer or not, I’m making this. How is this healthy? It’s alcohol that has fruits. If taken in moderation, it’s still healthy. I’m going to buy pretty glasses just for this. You can all judge me for that but I don’t care! Awwww all of this looks good! I don’t know which one I want to make first. I’m so excited already.